I was told about WM Dyck & Sons in Niverville by my appraiser when I was purchasing this house. This house was my grandparents and we planned on doing a complete main floor renovation including a brand new kitchen with an open concept. We had been to numerous places in the city and the lowest pricing we found was still over $20,000 so when my appraiser told me that WM Dyck had great pricing and product, we had to take a look at them. I phoned to make an appointment and they connected me with Kelsey who was a dream to work with from the beginning. She showed me and my sister, who is currently building a house and is also using WM Dyck for their cabinetry, around the showroom and took our plans, special requests and measurements that we already had with us letting us know that we’d have quotes within a week or so. True to her word, the quotes came in a week later with everything I’d requested for the most amazing price ever so I booked them right away. She came out to the house twice to measure and everything was ordered and ready for delivery within two weeks. The delivery took all of an hour and our installer was just amazing. Kelsey advised it would take him two days and it took him only one full day and a couple hours from the second day to finish installing our amazing kitchen. I’d recommend them to anyone completing their kitchen renovation and my sister is extremely happy with their service as well. Thank you so much Heather and Kelsey for your amazing service. We love our kitchen and will be in touch for our future renovations! When working with the W.M. 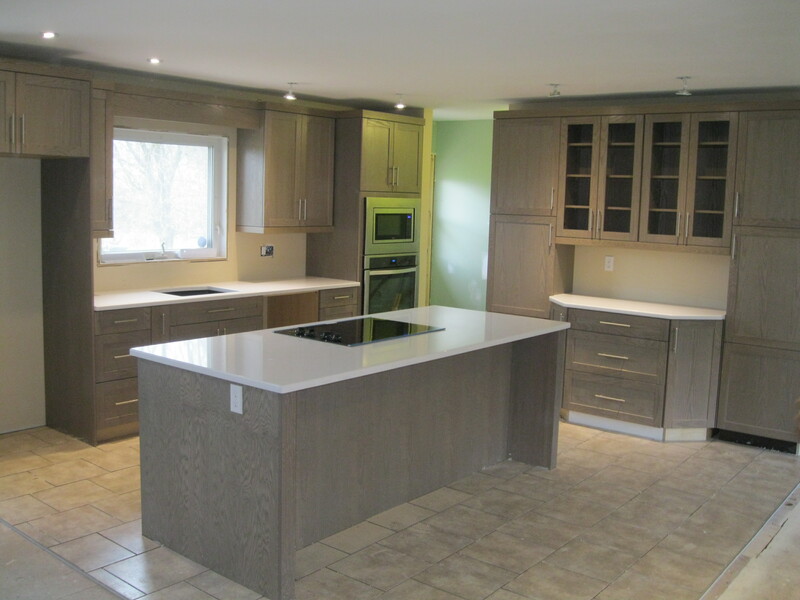 Dyck staff on choosing our new cabinets for our home was very easy. They helped us with design, color and best of all craftsmanship. The installer was very “meticulous” we felt completely secure in being away from the house while the installers did their work. 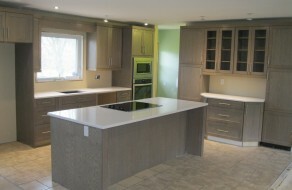 The end result was more than our expectations, it turned out fabulous for a custom cabinet design for our older home. […] the support we received from the WM Dyck & Sons staff was outstanding. You helped us to make difficult scenarios easier and offered options and solutions to problems related to the areas of kitchen, flooring and painting, which in many occasions ease up those challenges. Your experience and sincere interest in our issues helped us to stay focused and strong during the project. We wanted to truly say we are thankful to you for the world class services, high standard of ethics, and genuine care for us, your customer. I just wanted to say an incredible thank you for your amazing customer service at William Dyck. As you know, we are building a brand new house, and it is unfortunate that we only found out about you since May of this year. Our experience with the two of you (and honestly, anyone who answers the phone there) has been fantastic. […] I recommend William Dyck to all of my friends who are building a house. My only hope is that your customer service remains as wonderful as it has been for us (which I am sure it will! ).